For years, Laboratory Fundamentals of Microbiology has been the trusted resource for providing undergraduate students a solid foundation of microbiology laboratory skills. Now, the completely modernized Eleventh Edition represents a lab manual revolution built for today's learners, focusing on the student's experience in the lab. Access to over 100 minutes of 34 instructor-chosen, high-quality videos of actual students performing the most common lab skills, procedures, and techniques provides a seamless experience for the user. Within the manual, Sections and Exercises open with a list of relevant videos, and icons identify where students should refer to them to best prepare for each exercise. This encourages students to read, see, do, and connect with the material. In addition to the integration of videos, other significant updates to the Eleventh Edition include the new, full-color, easy-to-navigate interior design, with images from the videos found throughout the manual. Labs have been expanded and reorganized into new sections, such as 'Laboratory Safety,' 'Population Growth' and 'Immunology.' The all-new Laboratory Safety section emphasizes a 'culture of safety' approach to the microbiology lab. 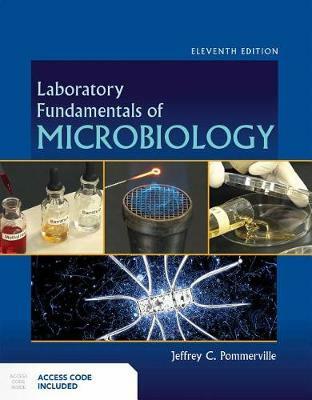 Laboratory Fundamentals of Microbiology, Eleventh Edition is the perfect companion to any modern microbiology course.